Here is a Champleve Butterfly, I wanted to share how I work with clients on custom request. and how I create champleve. enamel jewels. 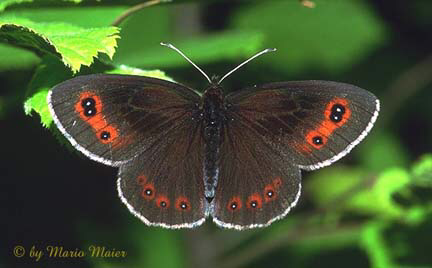 Champleve Butterfly This is an image the client sent me to reference as the shape she was interested in. Rendering I painted out with her choice of colors. Jewels in the Technique of Champleve. Her choice of enamel color placement . Beginning of a Butterfly Necklace.Beginning of a Butterfly Necklace.I like to add a little dome to the metal so the light sparkles through the enamels. Here a practice dome in copper. Champleve Butterfly After I was happy with the shape of the slight dome in the copper I then domed the butterfly on 18k gold. 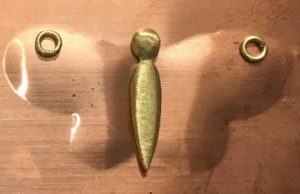 Using copper to aid in the fusing technique of the gold, the sheet, body, frame and findings are all fused together. 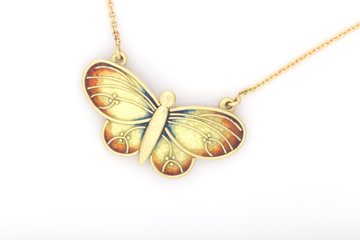 The framing around the wings act as a stop for the enamels. 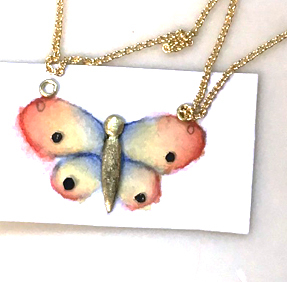 Champleve Techniques for an Enamel Butterfly Pendant with fused on decorations in the wings.